The for-profit social business venture business plan’s revision wraps up in the next few weeks to be submitted for grant applications. One of the core products, the play, “Charles’ Choice,” that introduces through a cast of characters and settings, goes into rehearsal in the New Year. A workshop production of “Charles’ Choice” is to be performed for filming Saturday March 11, 2017. 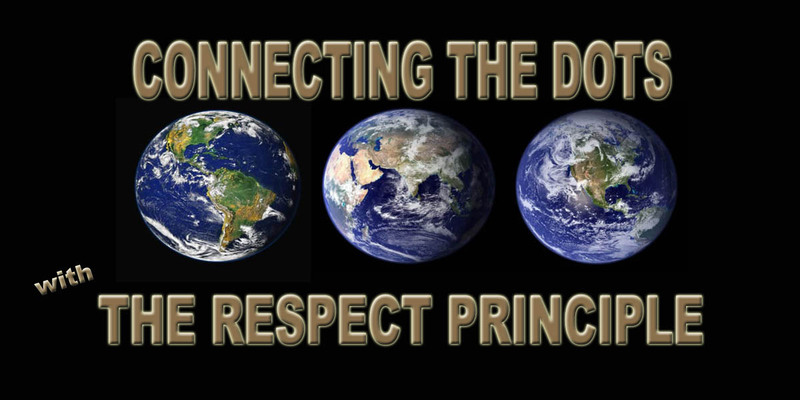 The official release date of “Charles’ Choice” in both formats, the Play with the Director’s Handbook and the DVD, plus the release of the second edition of “Connecting the Dots … with The Respect Principle” is Monday evening September 11, 2017. Celebrating the release, will be a performance for invited guests and the public. Recruitment of the amateur, paid cast, assistant, lighting and sound tech may start as early as December, though readings for the cast start in January 2017. More details to follow as the project’s timelines rolls on, so keep coming back! And, as always, thank you for your interest! Just received confirmation that my two artworks, “Young’s Harbour Elms” and “Motion” are to be part of the Georgina Arts Centre and Gallery’s “Where We Live and Play” Exhibition running from October 22 to November 27 with the Opening Reception, as noted below on the invitation to come, see, and eat on October 23 at 1 pm. Visit http://www.gacag.com for more info! “Belated” Happy Thanksgiving Fellow Canadians! We have much to be thankful for here in Canada, so I’m hoping your Thanksgiving Day was filled with the abundance that you received … and that you shared. As always, valuing our commonalities and respecting our differences. The Workshop Production, The Filming, and More! My energy and focus was rebooted for my social business venture, Connecting the Dots … with The Respect Principle, yesterday by contacting a local theatre and videographers, not just for the business plan being presented to a few grant funders this month, but to set the workshop production and filming of the production for the DVD for this spring that will be presented in autumn 2017! Grateful to be back on this track and off the many other tracks other people want and expect. Thanks for diligently coming back and please keep coming because you won’t be disappointed. As always, respect who you are by being the best you you can be!